The Cairns Surf Life Saving Club (SLSC) Palm Cove sits on the idyllic Williams Esplanade, about 30 minutes north of Cairns, Queensland. Cairns Surf Life Saving Club had been operating from within the rundown existing club house, and were desperately in need of new and updated facilities. The upgrade was completed over two stages, and you can see the first stage here. 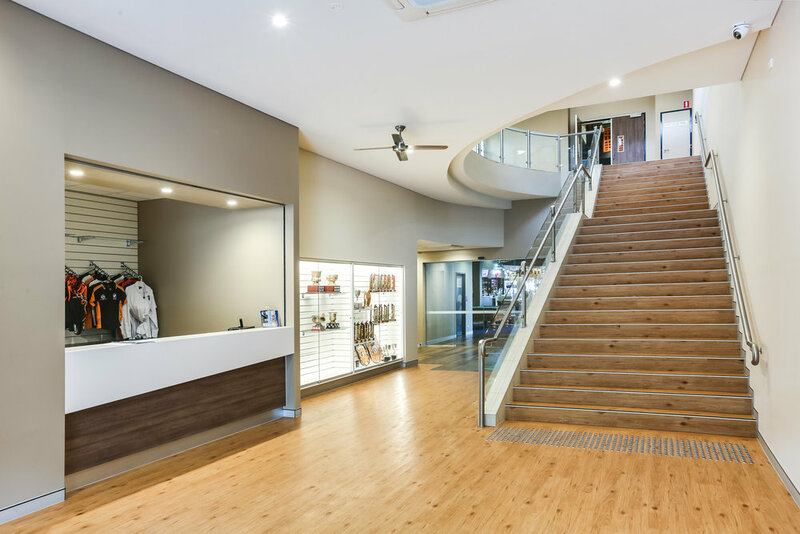 The second stage of the Cairns SLSC, Palm Cove, development was completed in 2017, and extends upon the existing club lounge, designed in an earlier stage by Craig W Chandler Architects. This stage provides the Surf Life Saving Club with various new club facilities, as well as a multi-purpose function venue. This expands the clubs commercial viability, allowing them to respond to growing demand within the community. 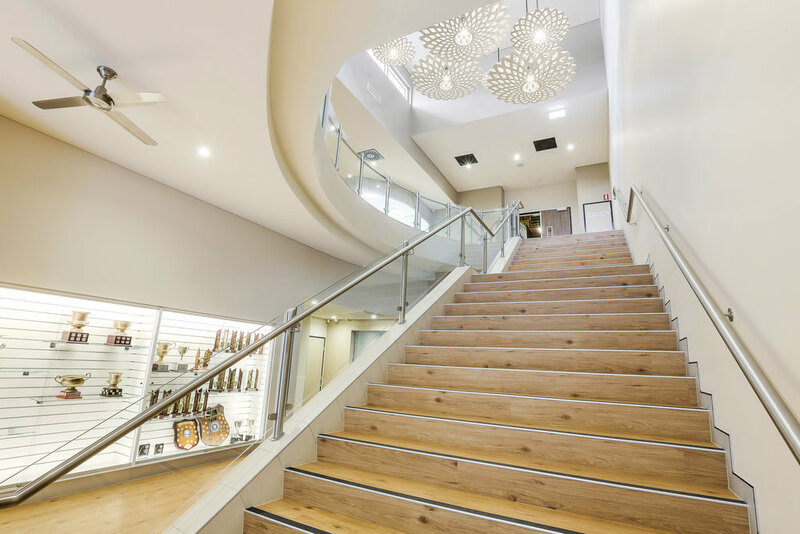 The entrance foyer is bright and welcoming, connecting guests to the existing club, and encouraging exploration of the new upstairs facilities, club lounge, and meeting spaces. 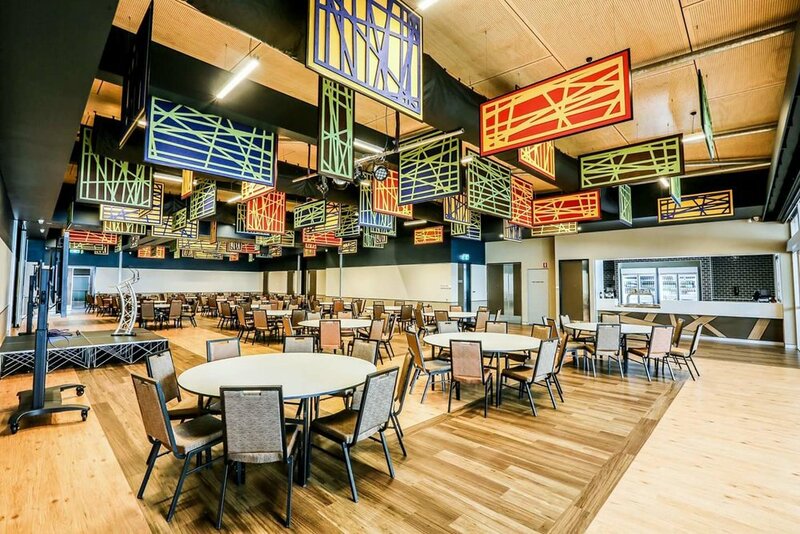 The new club lounge can host almost 300 seated guests, and features acoustic baffles inspired by the bright and colourful corals found in the local reef. These are a distinctive element, designed to be both eye-catching and highly functional. 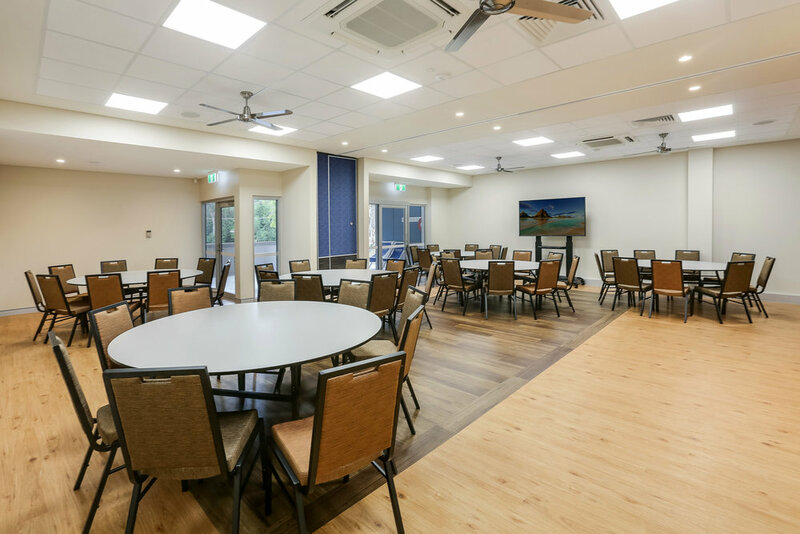 The function space fully opens out to an eastern terrace which overlooks the iconic Melaleuca trees and the picturesque coastline. In addition to the club lounge is a feature bar, a full commercial kitchen, as well as the many back of house areas to ensure the club can run seamlessly. The new facility now boasts flexible training and meeting rooms (for the surf club nippers as well), and office and administration areas.